Have you ever heard of Aunt Butchie's? Well, now you have. According to an interview on the Village Voice, Aunt Butchies is a Brooklyn based cake shop that has recently expanded into Manhattan. 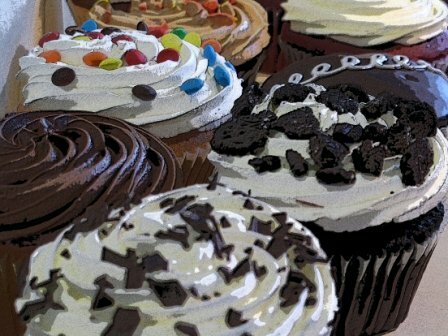 On the corner of 7th Ave and 27th street, they have opened their first cupcake-focused shop, and through April 7, you can get buy one get one cupcakes! Don't tell me that picture isn't making your mouth water? Now go order a dozen, because you'll only pay for six! The average cost of a cupcake is $3.50, which is about the same price as Magnolias.